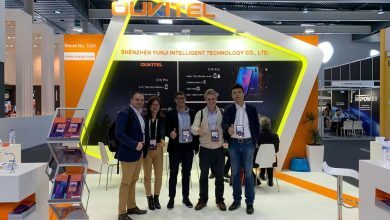 OUKITEL K3, a smartphone that is designed for the success and businessman, it satisfies all your needs for a smartphone. While the retail price is 9.99, K3 Global First Presale offers the price 9.99, and also give extra worth gift bag for pre-orders. 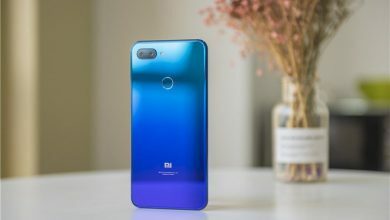 Before buying a new smartphone, there are several factors you should consider for the best choice. Price range, battery capacity, camera effect, performance, design, etc. Combining all these factors, OUKITEL K3 is really a good choice for you. 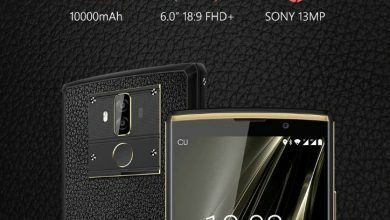 OUKITEL K3 created 4 “Global first” among 6000mAh massive battery series, the which looks stunning but also gets high performance. 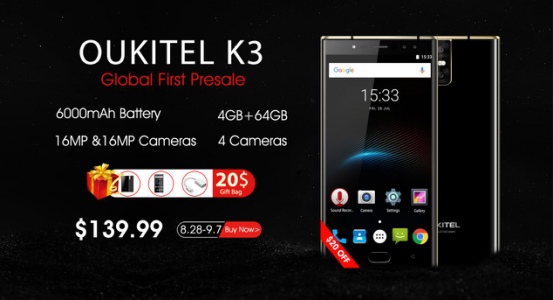 As OUKITEL K3 Global First Pre-sale starts, OUKITEL released the Official 3D video for it. This Android business smartphone is sure to impress. 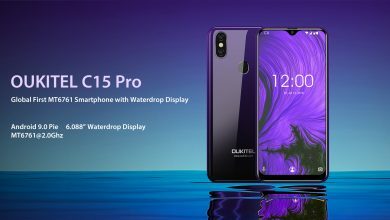 Long time using, quick charging, high definition screen, great camera for meeting environment shooting, powerful and fluent performance, large storage, private protection, compass directing, and fashionable design, all these make OUKITEL K3 shine like no other smartphone out there. It also creates a new frozen price for its level. 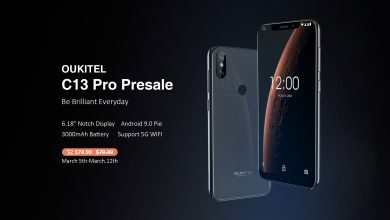 While the other similar devices are selling around $160 for a flash sale, OUKITEL K3 is only sold at $139.99 for Global First Presale from August 28th to September 7th. Wanna to buy? check out on banggood store.